I've been learning Japanese for about 4 years now, and I notice that as time passes, I have to change my study habits more often. When I first started studying, super casually, I learned about one word a week and could only make basic sentences. I took a relaxed approach to language learning and didn't rush. On my third year of Japanese study, I started to really take things seriously and study intensively. I did tons of flashcards and kept several notebooks. I couldn't learn from the same methods I used in the beginning, mostly because I changed intensity. As I continued learning at an Intermediate level, I found I hit a ton of roadblocks. Suddenly, flashcards didn't work anymore. I couldn't absorb new grammar. In language learning, what was effective in the beginning, tend to grow ineffective as time passes. I believe this is true for any language, not just Japanese. In the beginning, I absorbed information like a sponge. I learned new vocabulary quickly, and it all stayed in my head. However, as I hit the Intermediate line, a wall came up. Suddenly, I couldn't learn vocabulary or grammar, no matter how much I studied. This is what's called the 'Intermediate Plateau'. When you hit the Intermediate Plateau, you might be tempted to walk away for a while and come back later. Try not to. The best thing to do with any subject is to delve into a part of the subject you haven't explored much, and to give that your full attention. After being stuck on the plateau for a while, I decided to start looking at kanji, since I had been largely ignoring that aspect of Japanese. 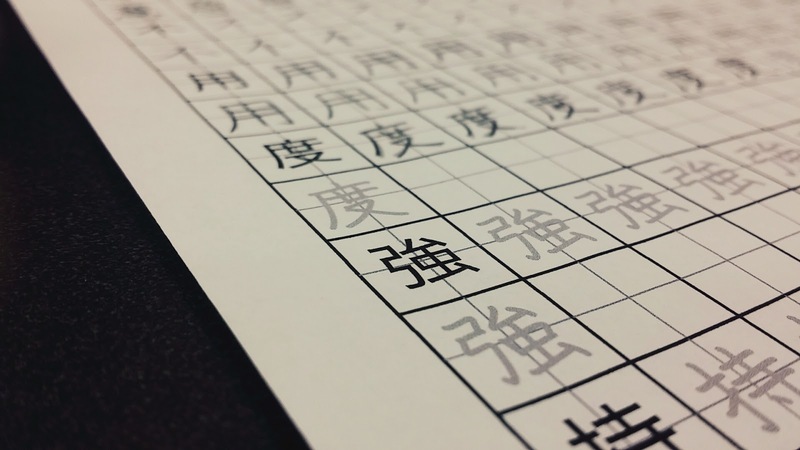 I created a Kanji "journal" where I studied 10 kanji a week. I ended up learning a lot of Kanji for the 2 months I did that, and gradually I incorporated new vocabulary into my study regime. Since I came from a background of little to no Kanji, suddenly beginning a new aspect of language learning made my brain react as if I was learning something entirely new. I absorbed new Kanji like a sponge and was able to focus on this for a short period of time but experience rapid progress. I slowly began to incorporate things I used to study, such as grammar and vocabulary, into my regime while keeping Kanji study as the main activity. As I hit my Kanji goal for this intense study regime, I gradually weaned off Kanji and headed back to studying vocabulary and grammar full time. When you pay attention to an aspect of a certain subject you haven't been doing, it allows you to refresh your brain and focus on something entirely different. It's sort of like giving your brain a 'breather'! Another tip for those stuck in a language learning plateau: don't be afraid to explore other methods of studying, as that may be a big part of the problem. If you're someone who learns visually, explore methods that require meticulous note-taking. If you're someone who learns best by copying something over and over, try using what you're learning in your everyday speech as much as possible. Approaching the same problem from a different perspective can make it seem as if you're attempting a new task, which can up your motivation and attentiveness! All in all, especially in language learning, the Intermediate Plateau is inevitable.